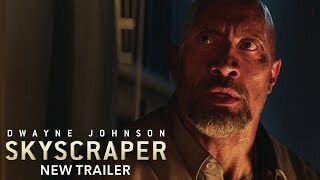 Skyscraper (film, 2018). A 2018 American action film with "PG-13" rating by Universal Pictures. Directed by Rawson Marshall Thurber. Official Trailer. 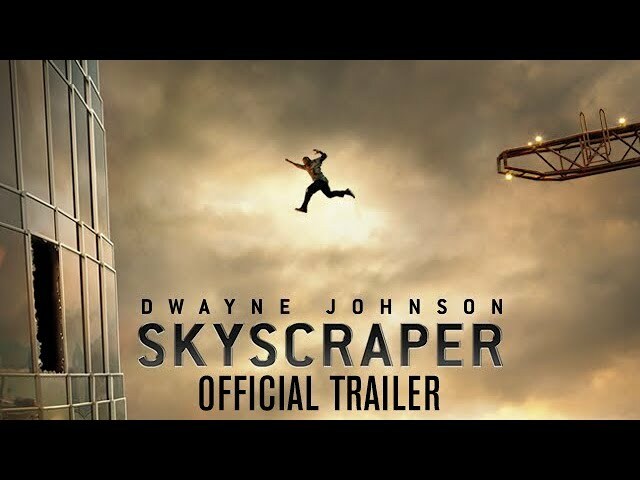 Skyscraper is a 2018 American action film directed by Rawson Marshall Thurber. Skyscraper - Official Trailer 3. U.S. Marine war veteran and former FBI Hostage Rescue Team leader Will Sawyer (Dwayne Johnson) now works as a private security consultant. His left leg has been amputated as a result of a suicide explosion on a previous mission. On a recommendation from his friend and former colleague Ben Gillespie, he is hired to review security for "The Pearl", a newly constructed 225-story skyscraper in Hong Kong, for financier Zhao Long Ji. During his assessment, his family - wife, Sarah, and twin children, Georgia and Henry - are residing on the not-yet-opened residential floors. Sawyer meets with Zhao, security directors Ajani Okeke and Gillespie, and insurance agent Pierce. Sawyer reports the computerized security systems are all secure but he needs to inspect the offsite security center. Zhao provides him with a tablet locked with facial recognition that gives him complete control over the computerized systems in the Pearl. Sawyer and Gillespie travel to the offsite location, but en route, a thief hired by Kores Botha, an international terrorist, attempts to steal the tablet. In the confrontation, Gillespie reveals he is also working for Botha. Sawyer fatally wounds Gillespie, but Gillespie warns him that Botha will kill Sawyer to get the tablet. As Sawyer tries to return to the Pearl, the tablet is stolen by Xia, one of Botha's associates. Xia and her agents attack the offsite center, killing all the guards there, then hack the tablet to bypass its facial security and disable the fire-extinguishing systems in the upper half of the Pearl. Simultaneously, Botha and a group of his men break into the Pearl and start a fire on the 96th floor; the fire creates a barrier preventing entry to or exit from the upper floors. Zhao and Okeke send security guards to rescue Sawyer's family, but the guards are killed in an explosion, and the family is believed dead. Urged on by Pierce, Zhao orders the remaining personnel to evacuate via helicopter, but Pierce reveals he is also an agent for Botha, killing all but Zhao, who escapes into his penthouse apartment, locking it down from any intrusion. Principal photography began on August 14, 2017 in Vancouver, British Columbia. 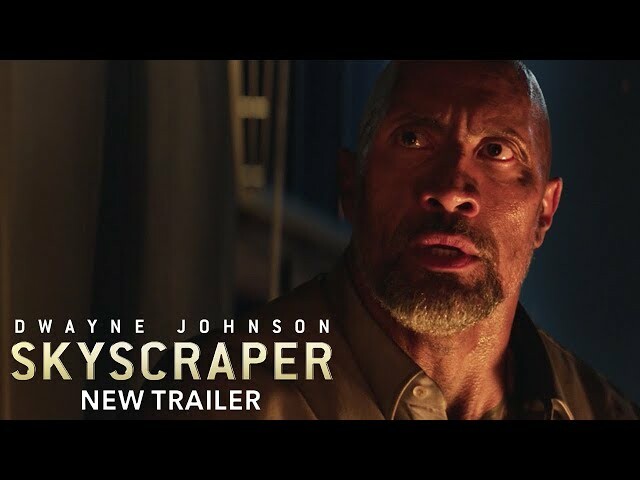 The film Skyscraper was scheduled to be released by Universal Pictures on July 1, 2018 (United States), on July 11, 2018 (France), on July 12, 2018 (Argentina, Australia, Czech Republic, Germany, Denmark, United Kingdom, Greece, Hungary, Kingdom of the Netherlands, Portugal, Russia, Singapore, Slovakia, Ukraine), on July 13, 2018 (Bulgaria, Brazil, Spain, Finland, Lithuania, Norway, Poland, Sweden, Turkey, United States, Vietnam, South Africa) and on July 19, 2018 (Italy). The duration of the film is 102 minutes. With a budget of $125 million, the film grossed over $304.9 million. Skyscraper got average rating from critics. But the audience likes the film. Audiences polled by CinemaScore gave the film an average grade of "B+" on a scale ranging from A+ to F.